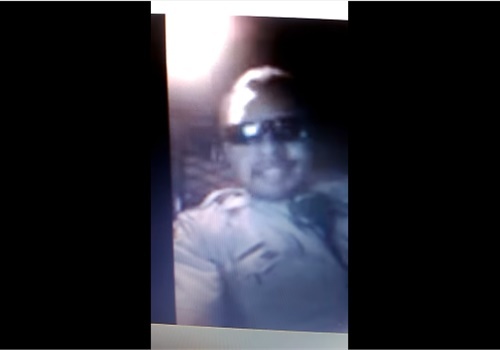 A Los Angeles County sheriff's deputy is under investigation after a video shows him appearing to ignore a gunshot call to record a video to a female friend, reports KABC. In the video, Deputy Jeremy Fennell is sitting in his department cruiser as a dispatch call comes over the radio about a shooting in Lakewood, CA, an area he patrolled. "Someone's getting shot right now. ... I know I gotta go, but I'm not gonna go. Because you're mad. Someone got shot. Oh well. Because I want to make things right with you," he says in the video. The 51-second video, first reported by WitnessLA, was posted by a woman who identified herself as the deputy's ex-girlfriend. Fennell, who has not been charged at this point, is facing two investigations, one an internal administrative investigation and the second an internal criminal investigation. The District Attorney's Office is also reviewing the case.